Bagamoyo is the oldest city of Tanzania and an UNESCO World Heritage Site. It is an unusual exotic destination, offering perfect and untouched beaches, while its central urban area is impressesive with its unique beauty. In the past, the city was a major port for the slave trade and in its surroundings can be seen the remains and ruins of ancient buildings. Centuries ago, Livingston calculated that if 10 slaves were sent to the coast of Zanzibar or any Arab country, only one would survive the journey. Situated in the northeast of the country, Bagamoyo is part of the Kilimanjaro administrative division. Around Bagamoyo there are a number of interesting tourist sites. For instance Mombasa, Kenya about 207 km., Mount Kilimanjaro, 174 km., Tsavo Natural Park 223 km., Amboseli National Park 224 km and Serengeti Park which is about 424 km away. The distance from here to Lamu Island is approximately 422 km., Nairobi, Kenya 382 km.and the Masai Mara Nature Reserve about 454 km. In Swahili Bagamoyo means "say goodbye to his heart." This name is not accidental, because the view of the crystal clear waters, lapping in the snow white sand you cannot leave indifferent and do not touch your heart. Much of the locals earn a living by fishing. Off the coast of Bagamoyo can see many of the traditional wooden boats – dhoui, that are used by the fishermen. These small boats in the Arab style have triangular sails and are of an old design. Here women prefer to use their heads to carry items instead of their hands. Everywhere you will see them walking with baskets of fresh catch or laundry on their heads. Buildings in the city are influenced by Arabic and Indian styles and are made mainly of stone blocks. 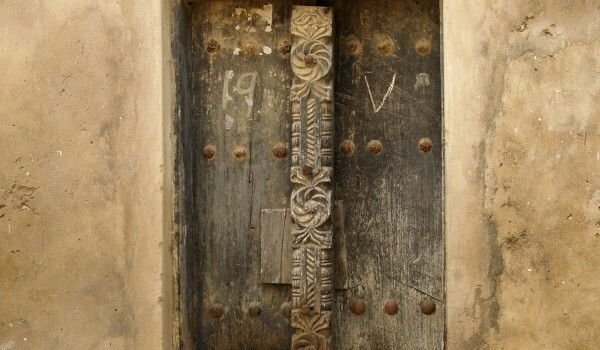 Typical for this exotic place are generously decorated with carving wooden doors. Among the historical landmarks of the city are Islamic ruins, dating from the 13th century. There are also ruins of two mosques and several tombs. Bagamoyo was also an important cultural centre and is now the most popular school of arts in Tanzania. Students from around the world study painting, sculpture, drums and carvings here.